A few weeks ago, a young man and his Missouri Fox Trotting Horse captured the interest of the Missouri Fox Trotting Horse world when he completed the Western States Trail Ride, commonly known as the Tevis Cup. This 100 mile endurance ride is one of the world’s most well-known events and finishing it is quite an accomplishment. In the 62 year history of the event, only 4 registered Missouri Fox Trotting Horses have completed the demanding event. The first was in 1972 when High Peak Red, ridden by Frank Howe, completed the race. In 1979, Levi’s Bliss, ridden by Linda Larson, also completed the demanding event. It took 35 years for the next Missouri Fox Trotting Horse to complete the race. 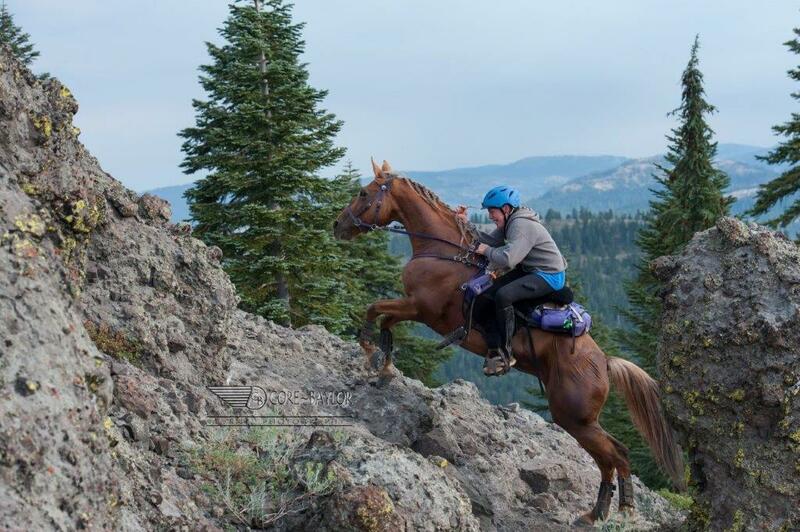 In 2014, Foxfire’s Little Britches, ridden by JayaMae Gregory, completed the Tevis Cup. In 2016, Black Squirels Brandy, ridden by Jenny Gomez, became the fourth Missouri Fox Trotting Horse to finish. That leads us to 2017. This year, one Missouri Fox Trotting Horse was competing. Foxfire’s Little Britches, known as Asali, was on the quest to be the first Missouri Fox Trotting Horse to complete the famous Tevis Cup twice. This time she was partnered with junior rider, Jakob Gregory. Throughout the 24 hour event, Missouri Fox Trotting Horse owners from around the globe tracked Jakob’s progress. Social media boards were busy with people talking about his progress, tracking as he made it through checkpoints and then nearly 24 hours after they started, cheering his finish. History was made. Foxfire’s Little Britches, at 17 years old, is the only Missouri Fox Trotting Horse to complete the ride twice and is the only one to complete the event with a junior rider. Finishing was a huge accomplishment for Asali and 15 year old Jackob, but as stories came out about Jakob’s journey, it became even more impressive. In endurance events, junior riders compete along with a sponsor. This sponsor rides with them throughout the event. At the start of the Tevis Cup, tragedy struck when the horse Jakob’s sponsor was riding suddenly passed away. Without a sponsor, Jakob’s journey was over before it had even started. Another rider stepped up to ride with Jakob so he could begin the race. Then the stories about Jakob and Asali leading other (adult) riders through the difficult part of the trails, in the dark, starting to come out and it became clear that Jakob and Asali left an impression on the entire ride. His new sponsored, who was competing the Tevis Cup for the first time, credited Jakob with getting her to the finish line. Jakob not only helped her through difficult parts of the trail, but managed their time so they could meet the requirements at each checkpoint. As Missouri Fox Trotting Horse owners learned of Jakob and Asali’s journey, they immediately reached out to Jakob’s mother and started encouraging them to make the trip from their home Paradise, California to the Missouri Fox Trotting Horse World Show and Celebration in Ava, Missouri. 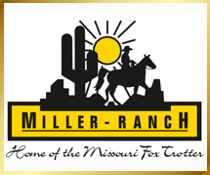 In recent years, Missouri Fox Trotting Horse Breed Association (MFTHBA) has recognized owners and riders that have completed the Tevis on Missouri Fox Trotting Horses. Social media was abuzz with people that felt Jakob’s journey and Asali’s historic accomplishments deserved in person recognition at the MFTHBA’s premier event, an event designed to recognize all aspects of the Missouri Fox Trotting Horse Breed. Missouri Fox Trotting Horse owners from across the United States have stepped forward to help cover some of the cost of Jakob’s travel to attend the 2017 World Show and Celebration scheduled for September 3-9 at the MFTHBA World Headquarters in Ava, Missouri. This support is making the trip possible. On Wednesday September 6, prior to the start of the evening session, Jakob and Foxfire’s Little Britches will be recognized for their accomplishments. On Thursday, September 7, Jakob along with his mother JayaMae, who completed the Tevis Cup in 2014 aboard Foxfire’s Little Britches, will conduct a seminar to share their experience competing in the Tevis Cup and in other endurance competitions.